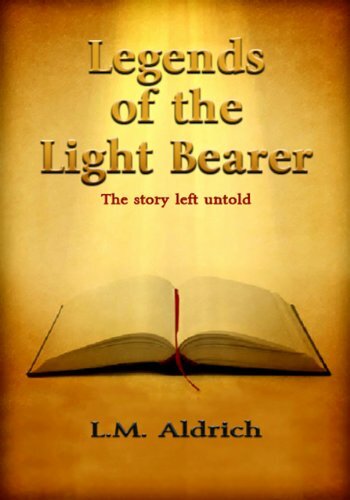 Synopsis: It began with Eragon. . . . It ends with Inheritance. Not so very long ago, Eragon—Shadeslayer, Dragon Rider—was nothing more than a poor farm boy, and his dragon, Saphira, only a blue stone in the forest. Now, the fate of an entire civilization rests on their shoulders. The Rider and his dragon have come farther than anyone dared to imagine. But can they topple the evil king and restore justice to Alagaesia? And if so, at what cost? This is the spellbinding conclusion to Christopher Paolini’s worldwide bestselling Inheritance cycle. Review: Reading the Inheritance Cycle has been a journey like no other. Truly a phenomenal and capturing series, it has forever established a spot in my heart. I will never lose the memories of thoughts I garnered from my first time reading it. Inheritance, the final chapter of the series, was a bittersweet conclusion. Truly one of the best books I’ve ever read, the ending saddened me. I was terribly reluctant to finish it. I feel as if a dear friend has been lost. . . Despite my evident nostalgia, the tremendous positive feelings I experienced during this recent read evaporate any melancholy that could be lingering. Inheritance brought about the excitement and stay-up-late-to-read nights that any reader worships and yearns for. Indeed, you may be wondering why I rated this book so perfectly. The same happened with Brisingr—my honest reviewing skills have fallen short. I could not and will not find anything wrong with this novel. I love it so. The storm continues to give Saphira problems. The wind continually tries to push her off course, while the rain is blinding and threatens to completely diminish what remains of visibility. Forced to rise above the storm, Eragon uses energy from Glaedr’s eldunari to enact a self-preserving spell—one that preserves body heat and provides a stable atmosphere to breathe. As they rise to a seemingly impossible elevation, the clouds thin and stars begin to appear. Eragon is enamored by the sheer beauty and colors of the twinkling lights. But even more amazing, as he finally lowers his gaze to the horizon, Eragon notices something unusual. Instead of the sky and sea meeting in a straight line—as they should—the juncture between them curved, like the edge of a huge circle. This revelation was momentous, a true milestone in the character development of both Eragon and Saphira. Such illumination can only result in a drastic change of mind-frame. Throughout the remainder of the novel, readers should note the effects this had on the actions and thoughts of both, especially in the effort of finding their true names. The paths of both Saphira and Eragon to finding their true names was another momentous event in Inheritance. Much introspection was put into the effort as they both struggled to uncover their aspects, even flaws. It was a joyous event when Saphira finally found hers, yet dampened by Eragon’s slight jealousy. Out of frustration from lack of insight, he decides to go for a walk. Eragon is away for the remainder of the night. After clearing a rubble strewn courtyard in the ruins of Doru Araeba (the fallen city of the riders) he perches atop a stone pillar, simply ruminating. His ruminations lead him on an inner journey of self-reflection. This is the ultimate personal enlightenment; finding who you truly are. All of your flaws, your mistakes, become evident when you truly realize your identity. After reading this, I wondered if it could happen in real life, an illumination of the highest. It is true that anything is possible. All in all, reading Inheritance was a profound spiritual experience. Just as Eragon endeavored to find his true name, I delved into a deep state of introspection, finding comparisons in my own life to Eragon’s revelations. I gained much from this novel, probably the most I’ve ever received from fantasy. Realizations into the true nature of freedom, justified leadership, and fear were only a few. The greatest and most profound would have to be a new outlook of self. I understand now, that we are always changing. Our identity does not remain fixed. Actions and decisions of the past determine who we are now. To me, this is sacred knowledge. Who we want to be in the future can only arise by working on our actions now, at this very moment. A truly remarkable conclusion to Christopher Paolini’s Inheritance Cycle, Inheritance proves to a be more than any reader bargained for. Not that it’s a bad thing. A thrilling, heart-grasping, and rich fantasy, Inheritance combines a fight for freedom and marvelous revelations of the self. Readers will enjoy the immense character development that took place in Eragon and his comrades. Indeed, finishing this series, understanding that it is finally over, may be a more than sad event for many. Paolini, Christopher. (2011) Inheritance. United States: Alfred A. Knopf. Synopsis: Twelve-year old Alexa Daley is spending another summer in Bridewell with her father. She looks forward to exploring the old lodge where she stays each year, with its cozy library and maze of passages and rooms. She’s also eager to finally solve the mystery of what lies beyond the immense walls that ere built to keep out an unnamed evil that lurks in the forests and The Dark Hills–an evil the townspeople are still afraid of. As Alexa begins to unravel the truth about what lies outside the protective barrier she’s lived behind all her life, she discovers a strange and ancient enchantment. Armed with an unexpected new power, Alexa exposes a danger that could destroy everything she holds dear–and change The Land of Elyon forever. 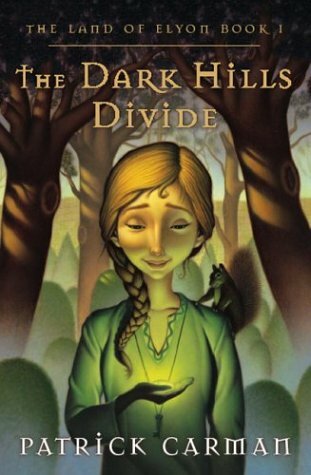 My Thoughts: I’m usually not a reader of middle-grade fantasy, yet The Dark Hills Divide is a novel I’ve enjoyed throughout my childhood. The book begins with twelve-year old Alexa Daley and her father. Readers will notice the strong bond between the two as the story progresses. To me, this is an important aspect of the book. Alexa proves herself a caring daughter, but also and independent adventurer. She deeply loves her father, yet she is not afraid to stray away from him at times to satisfy her curiosity and inquisitiveness. It is these characteristics that propel young Alexa to solving the great mysteries surrounding her home. The spirit of adventure is obviously the prevailing theme of this fantasy. The demolition of the immense walls surrounding Alexa’s home signifies breaking away from safety and taking risks. Alexa herself takes many risks to save her home and in the process discovers a magical secret that will indefinitely change her life. I found her character bold, daring, loving, and a loyal friend. Her actions attest to her loyalty. Everything the does is for the benefit of somebody she loves or to help someone in need. The author did a fine job in constructing a suitable persona for her character. The Land of Elyon is a very mysterious setting for the events happening in the story. The map provided in the front allows readers to foreshadow where Alexa’s destiny will take her next. It alludes to coming adventures. 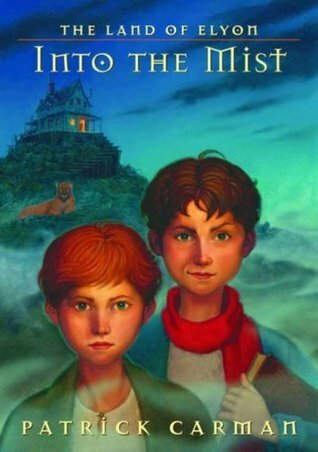 This is a fast-paced novel that I would deem most suitable for a middle-grade audience. Although the writing suggests such, an adult could still enjoy the shroud of intrigue and resourceful characters that fill its pages. Indeed, The Dark Hills Divide is a great introduction to a surely captivating series that anyone should like. Carman, Patrick. (2005) The Dark Hills Divide. United States: Scholastic Press. Synopsis: David Rain, Lucy, Zanna, and the Pennykettle dragons disappeared after destroying a trace of dark fire. In a world between Earth and Ki:mera, called Co:pernica, lives a twelve-year-old boy named David. He and his friend Rosanna spend their days in the librarium, a museum for books, with the curator, Mr. Henry, and the mysterious firebirds that roam the upper levels. When the two friends accidentally injure one of the firebirds, David and Rosanna find themselves on a remarkable and dangerous adventure. The evil Ix have found a way to Co:pernica from their home planet and have taken over a firebird turning it to the side of darkness. The birds have a secret, though: They know about the existence of dragons. With the help of David and Rosanna, the firebirds must reach across the universe to call on the dragons for protection. But will the dragons arrive before the Ix destroy everything? My Thoughts: For one of the few times in my life I am actually nearly at a loss for words. Expressing the boundless veneration I have for Fire World and its author seems daunting and nearly impossible. This was one of those rare times where I actually chewed a book before swallowing it, instead of devouring it outright. I cannot pretend to do justice to this book through a review, but as I am a writer, I am compelled to make the attempt. Fire World is the sixth and most recent installment of the Last Dragon Chronicles, ingeniously written by Chris D’Lacey. Throughout the previous books of the series, the storyline has evolved greatly, but generally retained the same overall character or essence. Amazingly, Fire World takes a drastic turn away from what readers would consider familiar about the story. Firstly, just understanding the fact that the events in the sixth installment are taking place in an alternate reality tells readers not to expect the ordinary. Co:pernica is an alternate universe version of Earth, where all the familiar characters of the series appear – but not quite as they’ve been before. As the book starts out, readers of the previous novels may be confused. They may even say, “What the heck is going on?” I certainly had a similar reaction upon opening the book. There are several peculiarities throughout the novel that may also strike readers as odd or intriguing, including the return of Gwillana (known as Aunt Gwyneth on Co:pernica). The death of Gwillana in Dark Fire was one of the highlights of the series and to see her return, to me was an intense moment. Totally awesome, to say in modern teen words. I have deduced that Fire World is by far the epitome of the series’ greatness, even if it borders on confusing at times. For that reason only, I cannot give the series a perfect 100/100 rating. Certain readers may find the novel a bit too “out there” and too dissimilar from the remainder of the series. I, myself found it superbly fantastic and worthy of being remembered and revered throughout the ages. Chris D’Lacey is truly a genius, hands down, and an excellent writer. 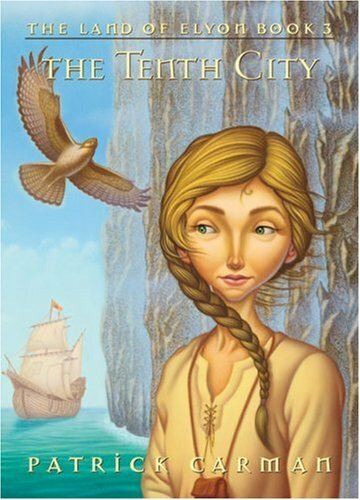 I hope many young readers discover this series, as it can truly change someone’s perspective on fantasy. D’Lacey, Chris. (2011) Fire World. United States: Orchard Books. Synopsis: Bestselling author David Rain was lost in the arctic for five years. Now, his daughter, Alexa, has brought him back, but a lot more has returned to Earth with him. Dragons are back as well. And with them is a hidden trace of Dark Fire, the deadliest force in the universe. Life hangs in the balance as David, Lucy, and the Pennykettle dragons must destroy the dark fire before it’s discovered and used to birth a darkling. Yet David’s success could come at a terrible price — the sacrifice of a beloved dragon. Is David’s power strong enough to protect an entire world, including those he loves and all the dragons, from an evil older than time? My Thoughts: The fifth installment of the Last Dragon Chronicles is assuredly the most action packed so far. There were quite a few events in this book left me excited, yet thoughtful. I find that Chris D’Lacey incorporates his rich stories with fantastical and sometimes mind-boggling ideas which give his overall writing style a unique twist. Indeed, Dark Fire is a perfect example of such. Throughout the book, the plot of the series is obviously escalating, almost hinting at an extreme future climax. The excitement is almost tangible. For those who are not offended by spoilers; the most striking or riveting event for me in the entire book would be when the dragon Gawaine (yes it’s spelled with an e) was wakened by Lucy. This was intriguing, especially when the dragon’s urine was added to the mix. Don’t let this turn you down, the inclusion of such topics actually makes the book delightfully witty. 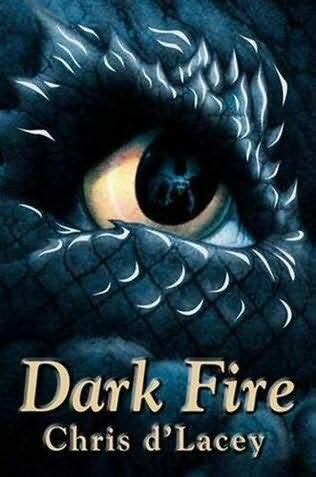 Overall, Dark Fire has definitely been the best of The Last Dragon Chronicles so far. D’Lacey’s writing just keeps getting better and better. He knows how to appeal to his audience, even while writing about confusing topics such as Dark Matter and the mechanics of physics. I also appreciate the fact that he is trying to instill a sense off environmental awareness in his readers. Truly, any fan of Chris D’Lacey will not be let down in the slightest by the stunning content just waiting to be read in Dark Fire. A fabulous author’s ingenuity has expressed itself once again. I must say, bravo Chris D’Lacey! D’Lacey, Chris. (2009) Dark Fire. United States: Orchard Books. Synopsis: Five years have passed since the mysterious disappearance of cult author, David Rain in the Arctic. Now, a number of strange events have come to pass – the Arctic ice is melting, polar bears are starving and the ghosts of Inuit souls haunt the skies. As the weather grows wilder and the icecaps melt, all eyes turn from the north to David’s daughter, Alexa. She may be the key to stopping it, but can one girl save the world from the forces of evil? Review: The Fire Eternal is the fourth installment of the Last Dragon Chronicles. 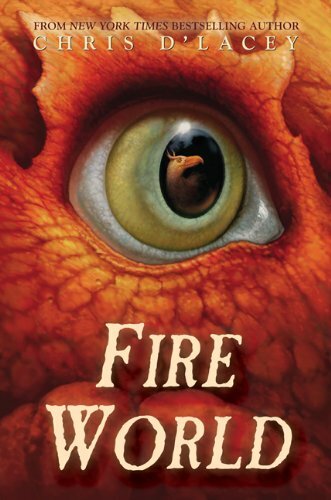 It takes place five years after the events of the previous book, Fire Star, where the protagonist David Rain mysteriously disappears. Now completely enthralled with the series, Chris D’Lacey’s way with words still manages to awe me. With each new addition the series progressively evolves, both in plot and in writing talent. As with the previous installment, the fain play a major role in the story’s course of events. I am still befuddled by these mysterious beings, yet my veneration for them eclipses my confusion. I hope to someday understand just a tiny percent of the ideas that run through D’Lacey’s head. It would be both intriguing and mind-boggling. Overall, The Fire Eternal comprises the best of the series (so far). Any dragon fanatic or lover of the Last Dragon Chronicles will not be disappointed. For those who are just beginning the series, I hope you look forward to book 4, as it is quite phenomenal. The steady evolution of the series should not be lost on you. It’s one of the major parts of reading it that I enjoyed. D’Lacey, Chris. (2007) The Fire Eternal. United States: Orchard Books.